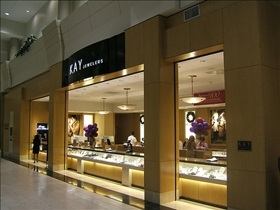 Kay Jewelers and Zales are both jewelry stores that can be found in most shopping malls across the country. Because of this convenience many buy their jewelry from these two companies. However, when considering which store to choose, people are confused. Yes, they both offer jewelry and you are probably going to find something that fits what you are searching for. However, there are some big differences, such as price, trading up programs that each offer, and the quality of the jewelry that each offer. Price is the main reason that people choose either Kay Jewelers or Zales as their place to buy jewelry. When it comes to all kinds of jewelry, the two stores differ somewhat in their prices. Traditionally, Kay has been slightly less expensive when it comes to diamonds. While when it comes to other pieces, such as sterling silver and so forth, Zales has been relatively cheaper. So when it comes time to purchase jewelry, it depends upon what you are purchasing. For those looking for engagement rings, they are going to find that Kay works a bit better for them, while those looking for a nice necklace they will find better prices at Zales. The Trading Up Program refers to diamonds. In these programs, people can bring in their old rings and necklaces in order to trade them for something bigger and more expensive. It is a great way to get the love of your life something new if they want that. Both, Kay and Zales, both offer these programs, however, they do differ to the extent of how each program works. 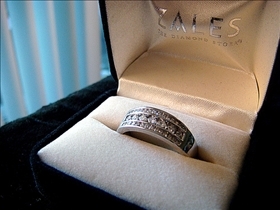 Those who have used the Zales program find that they are open to accept other stores jewelry, however, when trying to trade up with a ring that was previously purchase from Zales, the company usually does not agree to that. On the other hand, Kay will accept any diamond, whether it was purchased from their store or from another store. So in terms of the best trade up program, Kay Jewelers wins hands down. The quality of the jewelry that is purchased is a main selling point for most people when they are looking to decide which store to use. Kay Jewelers has long been known to offer quality jewelry that also includes a great insurance plan that involves having the piece cleaned once every six months and will pay to have the piece fixed should something like diamond fall out. Zales reputation as delivering quality products has decreased in the last few years. This was mainly due to the financial problem that the company faces, and they began to offer less than stellar products with an insurance program that many people termed a rip off and waste of money. When it comes to quality though, the winner is Kay Jewelers. Both jewelry stores offer products that anyone would be lucky to have. However, when thinking about long-term, it seems that Kay Jewelers is the place to choose since they have such great programs and insurance, as well as quality jewelry and lower prices on some items. The Trade up Program at Kay is willing to accept any peace, which is great news for those that could consider this in the future. Zales will not take their own jewelry back through their Trade up Program. Kay offers much higher quality products when compared to what Zales is offering. Both jewelers are popular choices for Valentine's Day gift shoppers. Which jeweler has better Jewelry? Zales accepts their own trade-ins... Once again false information given on a website. Wow this website got it completely wrong. Trading up programs: Kay do accepts trade-ins from any body and Zales only does trade-ins within their company. What do you think they do to the pieces you're trading in?haha. Zales only accept trade-ins from their own company because they want to keep the same qaulity they offer. Not a jewelry you bought from a pawn shop. Quality of Jewelry: Both have similar qualities when it comes to their jewelry and both have a few advantages when it comes to their own exclusive lines. If you actually pay attention when comparing both stores have the same pieces which means the same vendor made them. Zales adamately refused to trade up diamond jewelry my husband bought me 8 years ago from them. They said they only trade up on solitaries, not just any diamond piece. And they were a rude about it, as if what I bought from them was not good enought anymore. And this just happened to me this past week, so maybe in the past they took all diamonds they sold as trade up, but not now. Completely disgusted, as I wanted to get an anniversary band. The zales trade in I do here is false or relatively new. I've traded three rings that we purchased , two from zales and one that was not and they gladly took them all. Gold vs. Platinum: My precious!